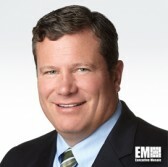 Steve Harris, senior vice president and general manager of Dell EMC’s federal business, has said advancing automation, adopting cloud platforms and simplifying the procurement process are the strategies federal agencies should implement to address the rising “technical debt” associated with maintaining legacy information technology systems. Harris wrote in an opinion piece published Thursday on Federal Times that automation works to free up resources that could be used for other government tasks and that agency chief information officers should take a look at how cloud platforms play a role in managing workloads and applications. “This will enable senior leaders to determine the best approach to incorporate cloud technologies to achieve a modernized IT infrastructure,” Harris wrote. He noted that agencies seeking to modernize their IT infrastructure should align their acquired platforms with their missions. “Acquisition officers must place greater emphasis on purchasing holistic solutions that address the agency’s mission, rather than individual technologies that may not work well together… This instruction must come from the top and be communicated across the agency,” added Harris, a 2018 Wash100 recipient.